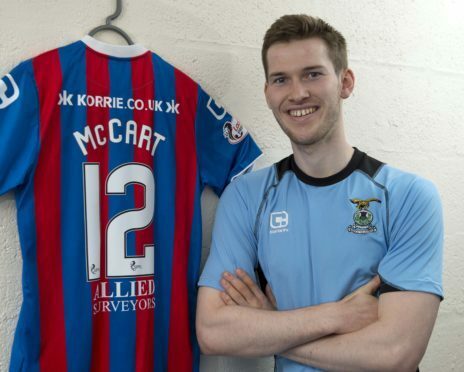 Caley Thistle have brought back defender Jamie McCart to the club on a two-year deal. McCart was on loan for four months during the 2016-17 season under Richie Foran and had separate loan spells at Alloa and St Mirren last season. He was released by Celtic in the summer and will compete with Coll Donaldson, Brad Mckay and Gary Warren for the starting spot. The former Scotland under-21 cap joined on deadline day in January 2017 to help with the Caley Jags’ survival push. He made 11 appearances in what was his first taste of senior football after playing for the Bhoys’ Development League side. It takes the number of Inverness’ pre-season arrivals to five, following Jordan White, Angus Beith, Shaun Rooney and Tom Walsh.